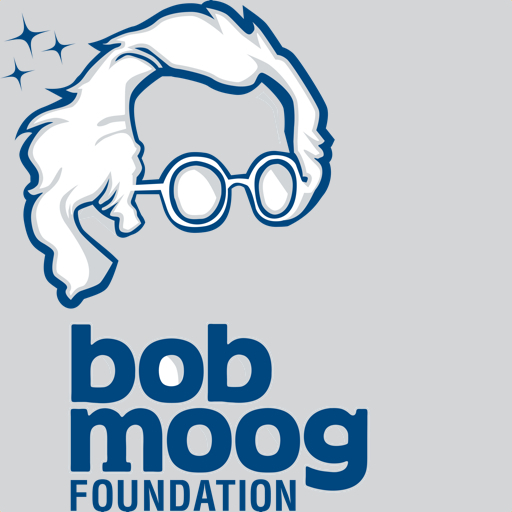 The Bob Moog Foundation provides hands-on opportunities for children and adults to explore the science of sound through Dr. Bob’s SoundSchool and the preservation of Bob Moog’s archives and musical inventions, which will converge in a future interactive museum, or The Moogseum, online and in Asheville, NC. A large portion of the proceeds of these tutorials go to support their work! Marc Doty the foundation’s Archive and Educational Specialist employs his knowledge of the history of electronic music, his understanding of synthesis and the physics of sound, and his love for the work and history of Bob Moog in order to further the legacy of that great innovator and musical instrument designer. The BMF is a donor driven 501 (c)(3) non-profit organization. Support their work to ignite creativity in future generations by making a donation today. Donations of any amount are gratefully accepted. Interesting historic look at how the world of electronic music began! 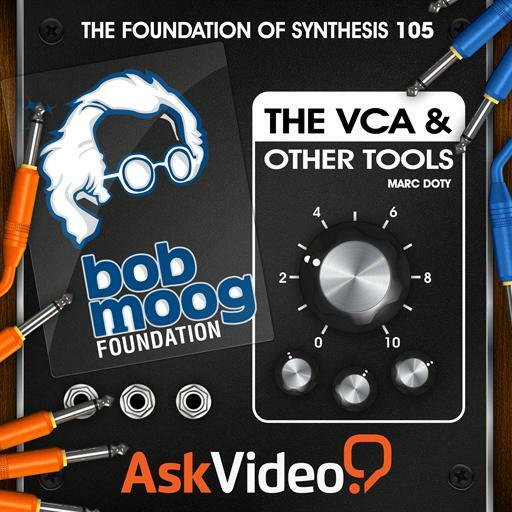 I recommend this course to anyone who wants to go beyond using vanilla sounds with out-of-the-box instruments and truly learn the craft of synthesis and sound design. Software synths appear less daunting when studying their hardware counterparts and I appreciate taking this one component and learning it in isolation. I'm looking forward to the next course. Engaging and concise, Marc Doty provides an abbreviated overview of the many concepts involved in musical synthesis. Lamentably (and perhaps due to copyright constraints? ), we hear interesting stories about the earliest instruments, but never actually hear the historical instruments themselves! The learner is left to search for examples on their own.... I appreciated his shout out to Daphne Oram and the BBC radiophonic workshop in the timeline at the end, as well as the explanation of the different composers using electronic synthesis before its popularity in rock music. I learned something new, and am off to search for recordings of the Novachord. I've tried to learn this subject a lot of times with limited success. By watching this I now understand it. If you want to learn about sound and synthesis then this is the course. Fascinating crash course on the history of synthesizers! Not to mention, sound and how it's generated, transferred and translated, broken down and explained in a way I've never before understood! Excellent course! Outstanding review of wave synthesis. It's great to be shown where this all came from and why. Now I can actually understand what knob I'm tweaking and why! thanks! Great introductory overview with some neat tips. The volume balance between the voiceover and the synth in some videos could be a little better though - I found myself continually turning the volume up and down to avoid blasting my housemates with piercing tones! A very solid overview on the history of synthesizers, as well as how sound works, and a brief brush on the different components and types of synthesis. 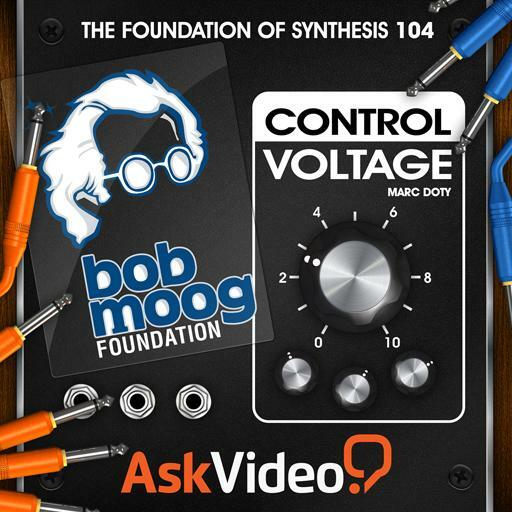 As someone who has some experience with synthesizers, some of the information was a little redundant to me, but all in all, it is well worth the time to watch. I am glad that the first MPV course on synthesis covers creating music electronically. The historical timeline of synthesis machine progress is good information to understand. I feel like knowing the basics of synthesis is as fundamental to my role as a music producer as knowing music theory. Looking forward to the more advanced synthesis courses! This is a fantastic work, more than a tutorial this presentation is a great compendium of technological break thru creations and amazing inventors that shape the history of electronic instruments.